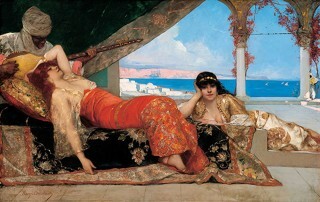 Jean-Joseph Benjamin-Constant studied at the École des Beaux-Arts in Paris under Alexandre Cabanel. 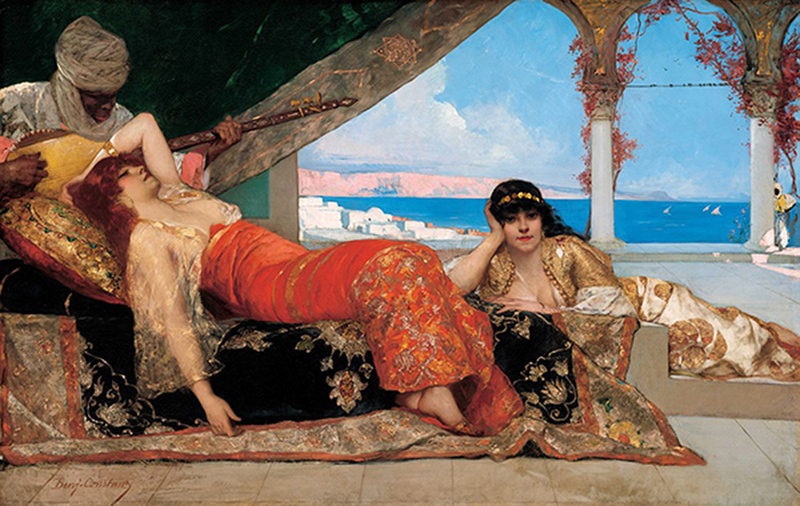 During the Franco-Prussian War he traveled to Spain where he came under the influence of the Orientalist painter Mariano Fortuny y Marsal. 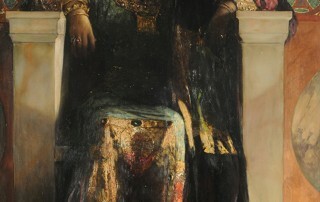 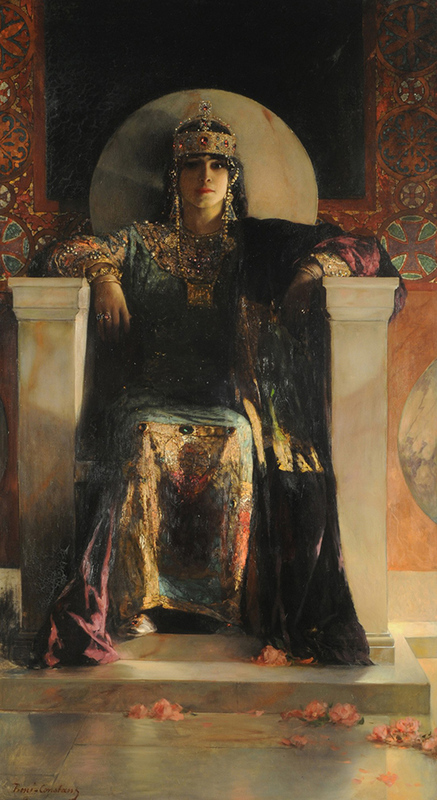 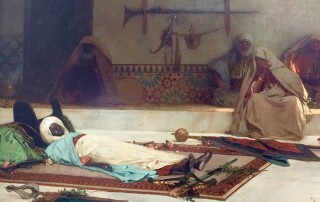 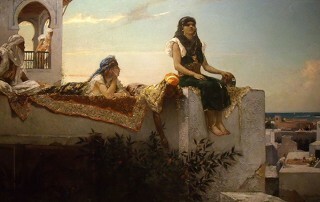 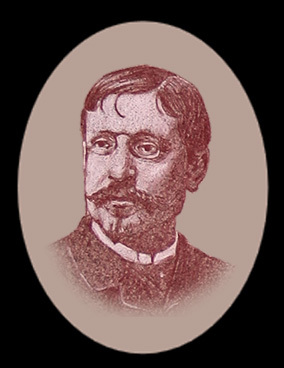 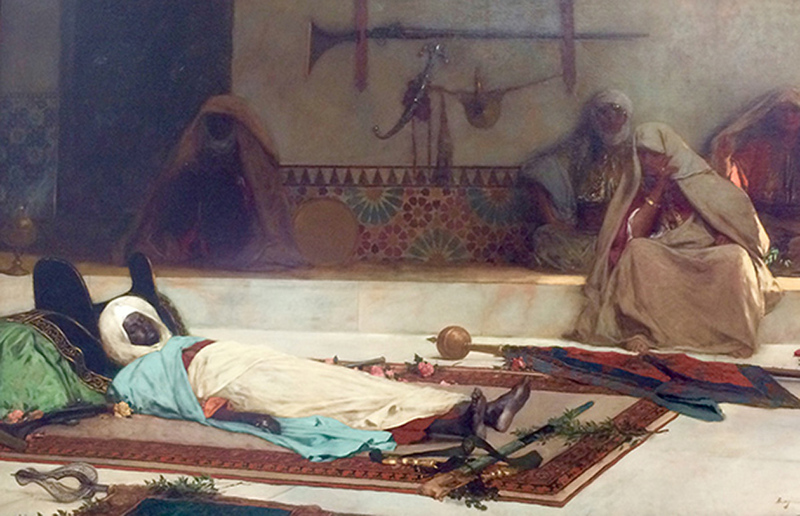 Best remembered for his exotic Moroccan subjects, both historical and drawn from his contemporary observations and experiences, Benjamin-Constant’s reputation rests on his abilities as a colorist. He was also known for his portraits and his allegorical ceiling frescos, as well as his pairing with Jean-Paul Laurens as a professor at the Académie Julian, where he stressed the observation of nature and the importance of clarity in drawing.